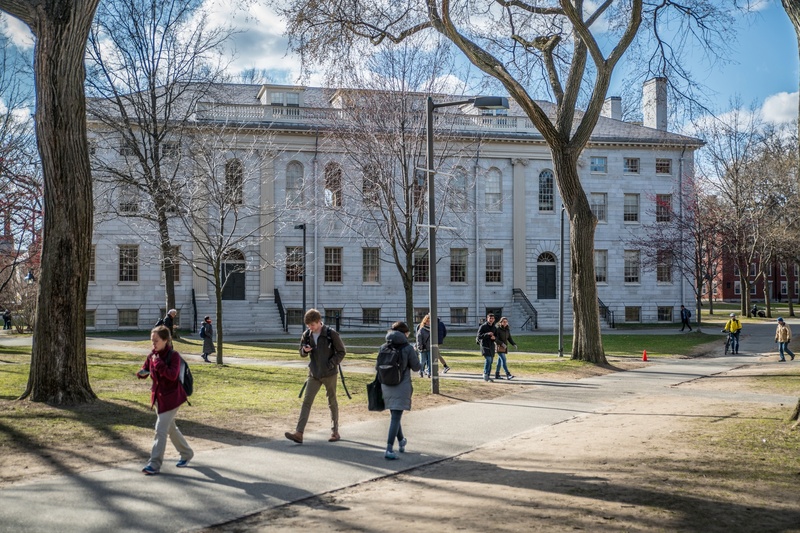 The Office of Institutional Research is conducting a pilot "Pulse Survey" of approximately 50,000 Harvard affiliates — the first-ever University-wide survey of its kind. The survey comes after a University-wide Task Force on Diversity and Inclusion — originally convened by former University President Drew G. Faust in 2016 — released its final report last spring. The report outlined several recommendations from the 55-member presidential task force, including a survey that evaluates participants’ perspectives from the “bottom-up”. Open from Tuesday to March 22, the pilot survey consists of ten questions — nine of which are quantitative and one that is open-ended. The survey will be administered to all Harvard faculty, staff, and degree-seeking students. Professor of Education Andrew Ho, one of the initiative’s leaders, said the first question asks whether or not participants feel like they belong at Harvard, the central theme of the survey as a whole. “It is the utmost interest to us given the work that we do across faculty, staff and students across 50,000 different people to know the extent to which people feel that way because that underlies good learning, good work, good teaching, good research,” Ho said. Ho — who served on the University-wide task force — said the survey was created with input from the faculty, students, and staff within the task force. He also administered and “talked through” the survey to his class at the Graduate School of Education. “This pilot is yet another opportunity to continue to improve the items to make sure that whatever we do in the future will be at the high quality that we expect at this university,” Ho said. The survey is confidential and responses will never be matched with the names and titles of the participants, he said. The survey will also follow standard protocol as laid out by the Office of Institutional Research. John S. Wilson, Jr. — senior advisor and strategist to the president on diversity and inclusion initiatives — noted that the survey will allow leaders across Harvard’s various schools to understand perspectives on diversity for those under their jurisdiction and amend their leadership approaches to address points raised by respondents. Faust created the Diversity and Inclusion Task Force in 2016 to evaluate Harvard’s efforts to create an inclusive environment and recommend improvements to existing programming. The group focused on four topics: demographics of faculty, staff, and students across the University, the “fabric of the institution” and its culture, academic resources available to students, and diversity organizations on campus. Wilson — a former member of the Harvard Board of Overseers, the University’s second-highest governing body — said the legacy of Faust’s initiative on inclusion and belonging lives on with current University President Lawrence S. Bacow. Wilson also said he believes that the survey will foster a “new set of conversations” on campus and is optimistic that it will lead to an improvement for Harvard students, faculty, and staff. Administrators began publicizing the survey with flyers posted around campus this week that read “10 questions. 3 minutes. Your Voice” and included a link to the online form.